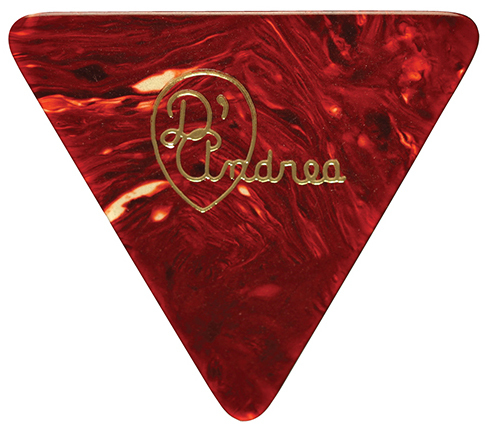 D’Andrea USA’s 355 “Large Triangle” Shell Celluloid Guitar Picks are made of the highest quality celluloid available worldwide! Our celluloid material comes straight from the Delmar Products, Inc. Vault which has been supplying celluloid for guitar picks, pickguards and more to well known worldwide music instrument manufacturers for decades. D’Andrea USA’s ever popular 355 shaped guitar pick gives guitarists and bass players more options for tone, control and feel. Providing the perfect striking surface combined with durability and “memory” makes this pick the top choice for the serious player! Proudly Made in USA!